Three-time Sprint Cup champ Tony Stewart tees off on Joey Logano in this interview. Many race fans applauded this, while some writers tried to put things in perspective, asking Stewart to cut Logano some slack since Logano is only 22 years old. It doesn’t sound like Stewart will heed the advice since he basically called out Logano as acting like a little girl for throwing water at him. It will be fascinating to see how this plays out in future races. NASCAR is notorious for these kinds of spats, but as things escalate they can get out of control. And of course the consequences here are severe, as we saw when Denny Hamlin wrecked on the last lap at California last weekend, suffering a fractured lower back after hitting the inside wall head-on. The hope of course is that these off track altercations serve to let these guys blow off steam so that the fight doesn’t return to the track, but of course we all know better. It doesn’t help Logano’s case of course that Hamlin isn’t buying his BS. They’ve had some recent interaction that Hamlin described as not being very productive. Roger Penske is trying to protect his driver Logano and is also trying to diffuse the situation, even implying that the media is overreacting to every incident, but it’s hard to get away from the issues caused by his young driver. If you’re into sports betting when it comes to auto racing and NASCAR, this is just another factor to consider. Cars and ability matter, but emotions and feuds are a real part of this as well. Of course it’s very hard to quantify these wild cards, but it’s also good to be aware of them as well. Will Logano back off, and will this affect his performance? That’s a huge question. As for Stewart, he’s the ultimate pro, but sometimes a young punk like Logano can throw you off your game. Here’s a cool video from the passenger seat of a Ford Mustang FR500 at the New Orleans Motorsport Track doing a hot lap around the track with a professional driver at the wheel. 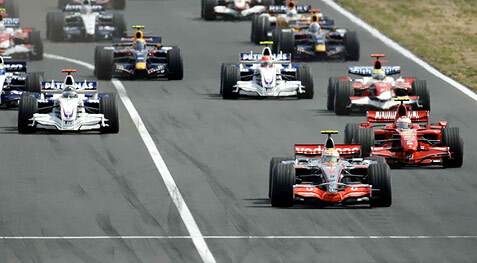 The 2012 F1 season is reaching a thrilling climax with six races remaining. Sebastian Vettel’s win in Singapore last time out kept the pressure on championship leader Fernando Alonso, who is the 4/9 favorite on the Ladbrokes sport page to clinch the title. Here we take a look at who’s vying for glory in drivers’ championship and constructors’ championship ahead of the next GP in Japan next month. Only two drivers – Vettel and Alonso – can win the F1 title this season, according to Jenson Button, who finished second in Singapore and is sixth overall in the championship standings. “It’s between those two but there’s still a lot of people with a long shot,” said Button to the BBC. Button, for the record, is 66/1 to somehow overhaul Alonso, who is 29 points clear of Vettel. Kimi Raikkonen, a 25/1 shot to be crowned champion, is next in the standings followed by Lewis Hamilton (9/1) and Mark Webber (66s). Alonso would be wise not to underestimate Vettel as the two-time champion will not want to give up his title without a fight. Despite Alonso’s commanding lead in the drivers’ championship, his Ferrari team find themselves third in the constructors’ championship, 55 points behind leaders Red Bull. Red Bull also have a 36-point lead over McLaren-Mercedes and are 4/6 favorites to stay ahead of the chasing pack. McLaren are 5/4 to become constructors’ champions. Public roads, blinding speeds, and drivers towing the line between courage and stupid were the hallmarks of vintage racing. But with the advent of governing bodies and modern racetracks, those days are long gone. Almost. Today, Speed was kind enough to stream their coverage of the Targa Newfoundland online. A real throwback of racing action but with thoroughly modern machinery. So check it out, you won’t be disappointed. 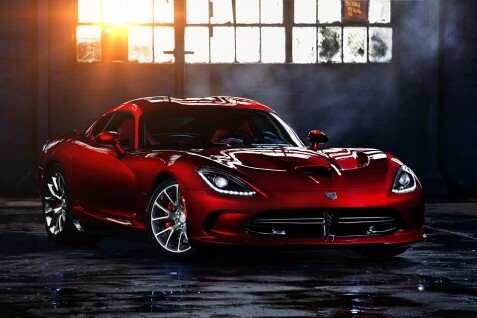 With all the debuts at the New York Auto Show, the new SRT Viper was the one everyone was looking forward to. Right away you notice the newly refined exterior, which is still raw, but harkens back more to the original Viper. But no one was worried about how it would look, but what would be powering it. Recent federal safety mandates, emission controls, and general market pansiness threatened to strip the Viper of its fangs (warning: more tortured snake puns ahead). However, even with traction control and all the other necessities, the Viper still looks like it will be a ludicrous drive. How ludicrous? About 650hp worth from a V-10 motor. Yup, the Viper is back. Plus, their going back to racing too. Welcome back Viper, it’s been too long. 1994 Viper on eBay for $37,000?